Update @ 2:48PM : The cheap price looks to be sold out now, it's showing as $1179/person now. 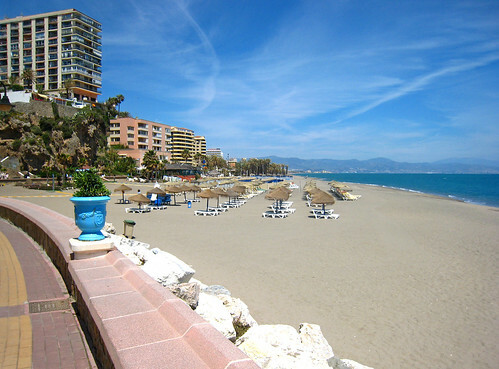 There's a pretty amazing deal to Torremolinos, Spain through Transat Holidays at the moment. It includes flight + 7 nights at the Sol Don Pedro hotel (breakfast included). Checking out the Sol Don Pedro on TripAdvisor, the hotel has 4 circles and 83% recommend it after 159 reviews, which is definitely more than decent. Some of the reviews suggest it's a little dated though. Here's the booking link to where it can be found. The departure is June 5th. Checking hotel rates, the cheapest you can get the room for separately is around $150/night ($1050 for 7 nights), or $525/person for the week if you're a couple. Sounds about right for Europe. That means you're essentially getting the flight to Malaga, Spain for $354 roundtrip after tax. The typical price for this package is around $1400-$1600/person after tax. A flight + hotel search on Expedia.ca to Torremolinos, Spain shows that the cheapest flight + hotel package available is around $1250/person after tax at the moment. montreal, spain, europe, southern europe, western europe, flight and hotel deals and torremolinos.